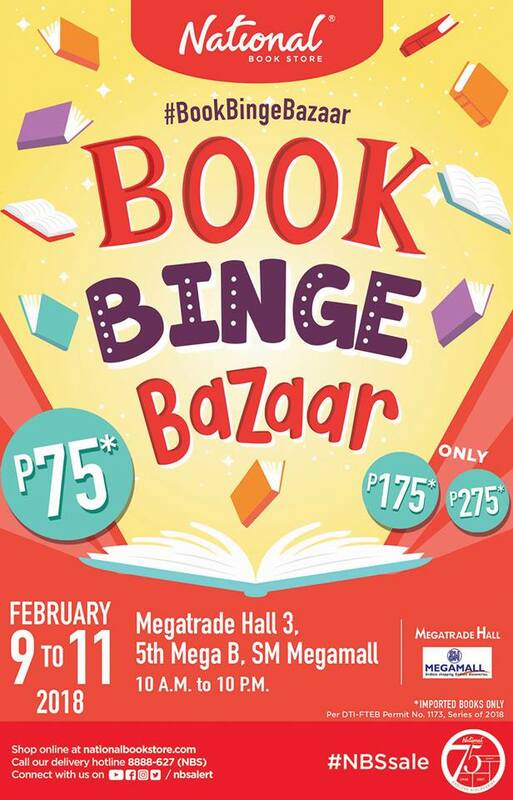 Check out the first-ever NBS Book Binge Bazaar happening on February 9-11, 2018. 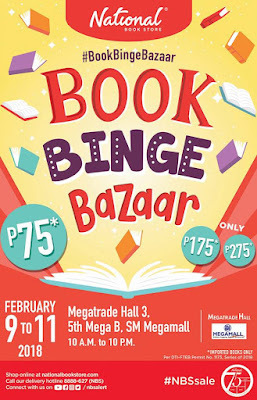 Shop for as many imported books as you want for just P75, P175, and P275, with everything from new releases and beloved classics, to award-winning titles and bestselling series waiting for you. Come and shop on February 9, 10, and 11, 2018, from 10:00 am to 10:00 pm at the Megatrade Hall 3, 5th floor of Mega B in SM Megamall.